This soup is ready in minutes and fragrant from the moment the herbs hit the pan until the last of the hot steam rises from the soup bowl. 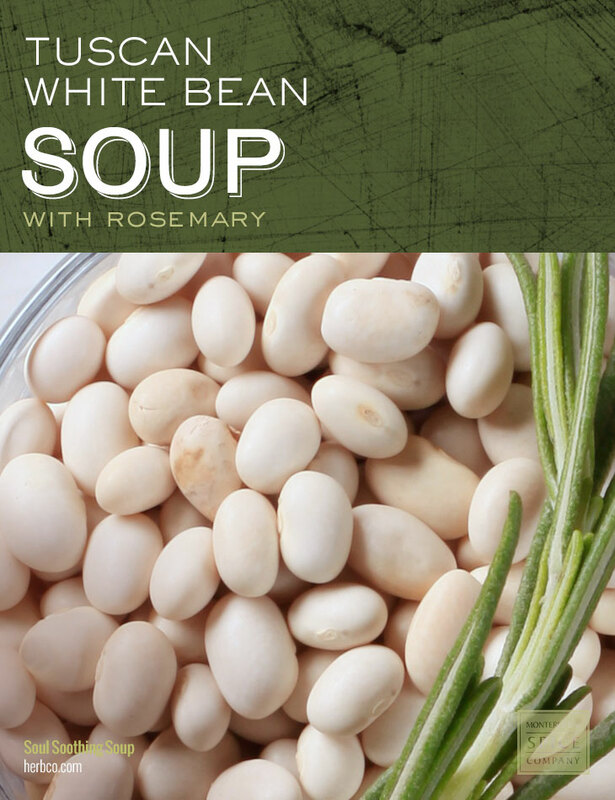 This soup pairs well with croutons, crostini or bread sticks. Heat the olive oil in a large Dutch oven. Add the onions, garlic, sage and pepper flakes. Cook together for 3 to 5 minutes until the onions become translucent. Stir in tomato paste, mustard and beans. Continue cooking for one minute; splash the pot with red wine while scraping the bottom of the pot to pick up any browned bits. Add the vegetable stock, rosemary and season with salt and pepper. Bring just to the boil, then reduce heat and cover. Simmer for 10 minutes more, and then puree with an immersion blender until smooth.